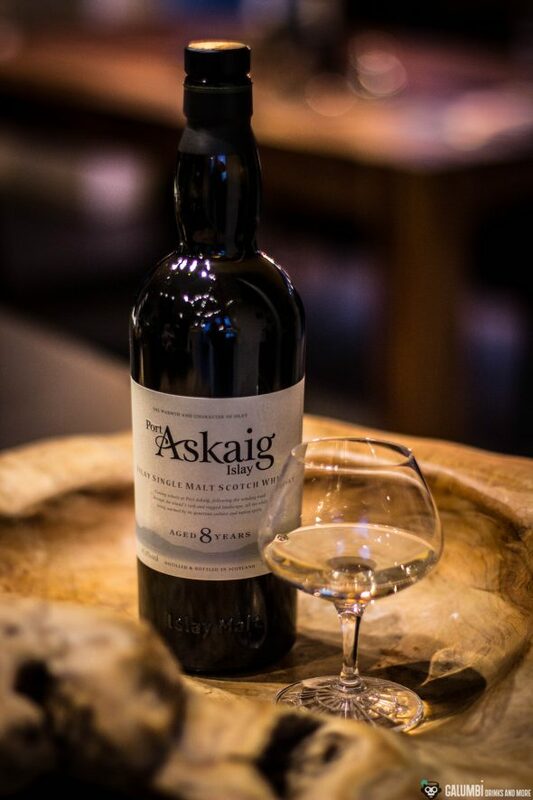 Port Askaig is not a new distillery in its own right, but rather the name of a bottling series from an unnamed distillery on the Hebridean island of Islay. And although there is no reliable information here, the whisky community agrees that it will most likely be a whisky from the Caol Ila distillery. 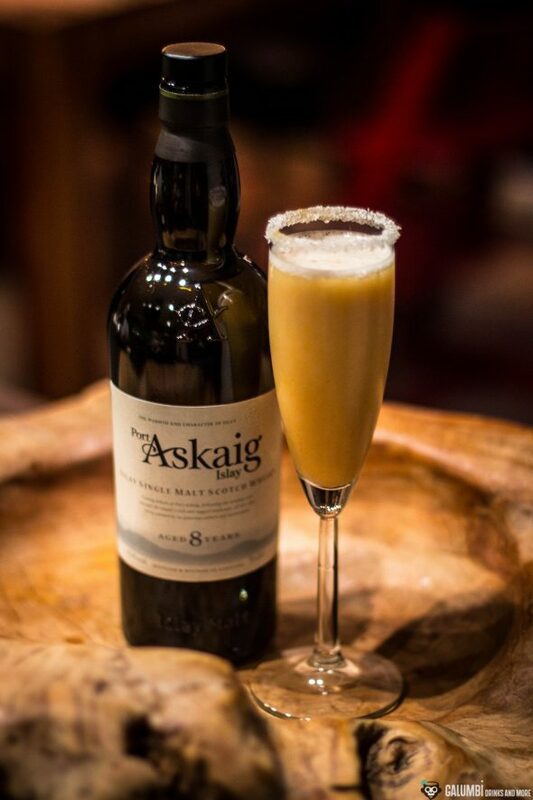 In any case, Port Askaig is the name of a small village at the east coast of Islay, where also the two distilleries Caol Ila and Bunnahabhain are located. 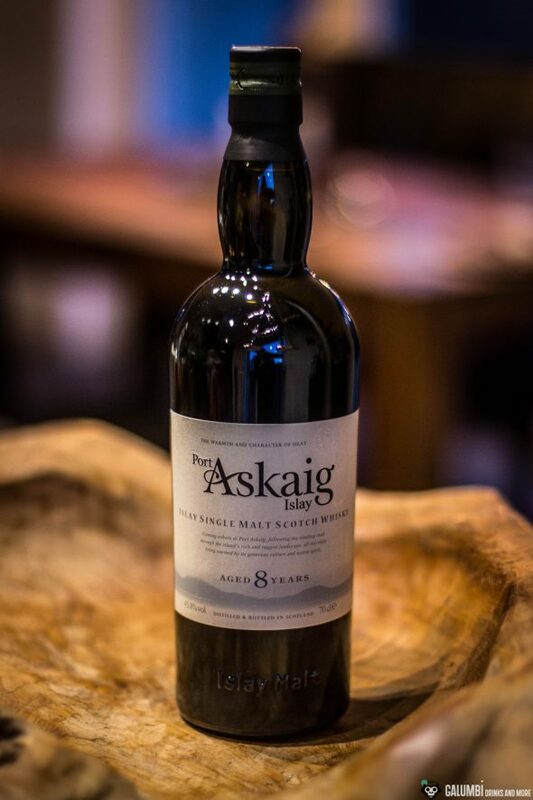 The eight-year-old Port Askaig (which is also available with older age statements) is a single malt matured in former Bourbon barrels (this is also not exactly stated, but since an explicitly named sherry barrel variant also exists, it can be assumed). Of course, you can expect a typical Islay characteristic, but I’m curious about how good this whisky already is considering its relatively young age. Aroma: Unmistakably a typical Islay malt with a dominant smoky note: a rather cold campfire smoke combines with iodine and maritime tones, behind it, some tar and a quite fresh note is present, which turns out to be a lemon once you’re getting used to the smoke after some time. Finally, a malty aroma appears, in which I can also find some liquorice. Taste: The smoke is also present on the palate and dominates the taste buds. The maritime tones are confirmed, but there are also herbaceous and quite sweet notes of honey. Behind it, light fruits shimmer (especially citrus) and an interesting, mineral impact. Finish: long-lasting smoke with iodine and some dark honey. Scotch single malt in cocktails is still subject to debate. 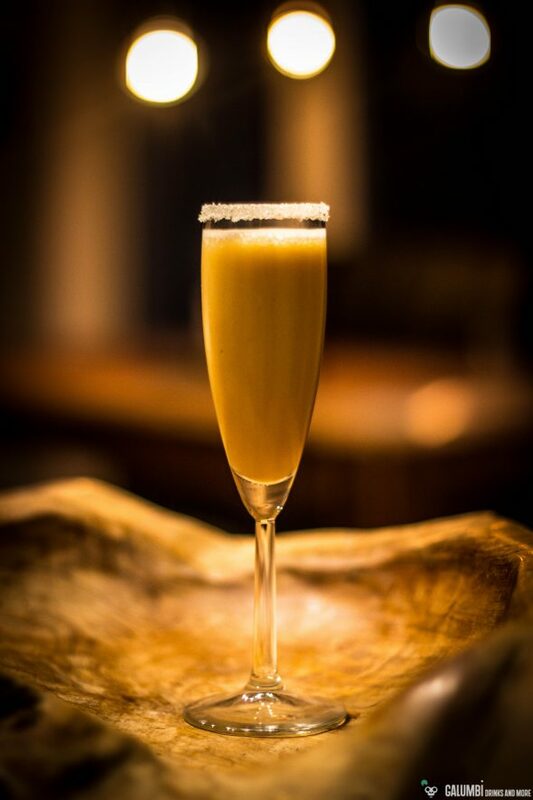 For some, it is a sacrilege, for others it has become a quite normal thing with a grown popularity in recent years (the number of classic Scotch Single Malt cocktails is rather small). It won’t come as a surprise that I feel being a member of the latter group. Therefore here I am with a recipe that really is a great opportunity to show what you can do with such a smoky whisky in a cocktail. And here I’ve opted for a flip, which is a classic cocktail category (although rarely encountered). 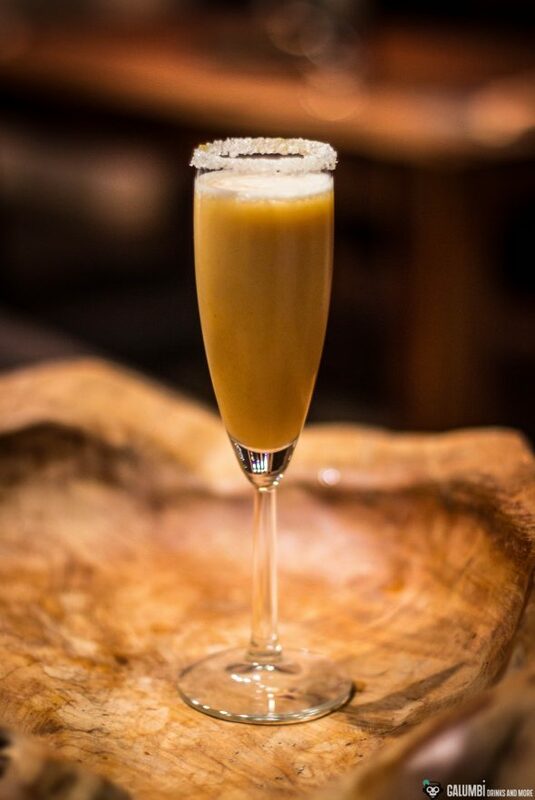 It is a real flavor bomb combining ingredients, which might seem unusual at first glance: In addition to the Port Askaig, the ester-heavy Hampden Estate Pure Single Jamaican Rum with its great fruit tones and the wonderful Cardenal Mendoza Brandy are used. 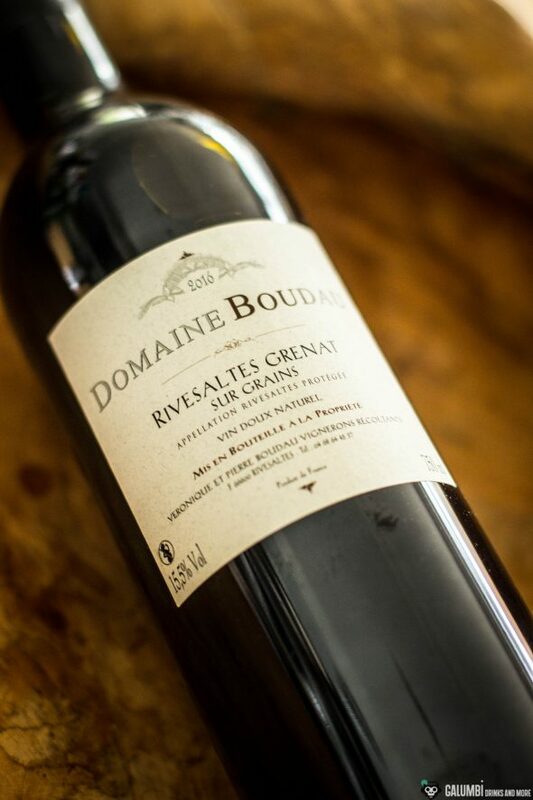 In my Paradise Burning I also opted for a French, fortified sweet red wine, a Domaine Boudau Rivesaltes Grenat Sur Grains (I’ve used the 2016 bottling), which extends the palette of tastes with beautiful fruit and especially berry tones and brings those influences into the drink that are so characteristic of many good flips (e.g. the Too Too). 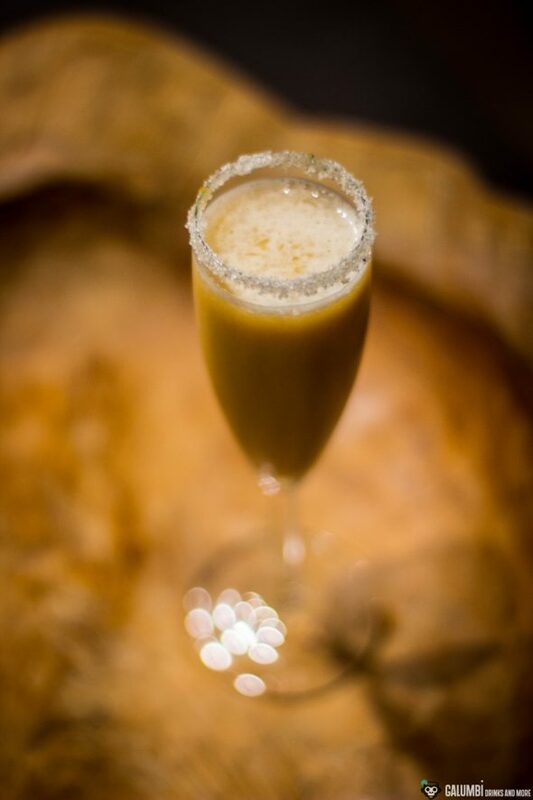 Preparation: Pour all ingredients into a shaker and shake vigorously on ice for at least 20 seconds. 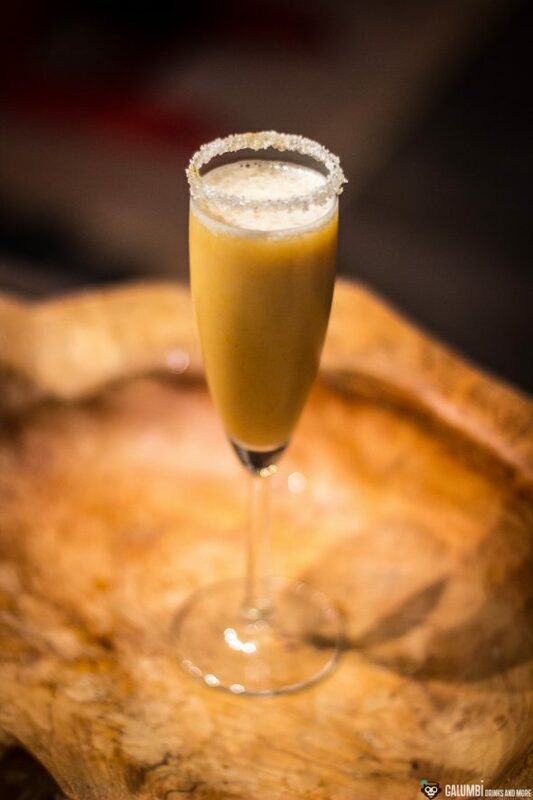 Then strain the ingredients into your pre-cooled glass with a prepared vanilla sugar rim.